We are a pioneer in outdoor production technology. We were among the first companies in the world to use remotely controlled multi-camera production technology. Shooting locations now require only the presence of the recording equipment. All other pieces of equipment and production and control facilities are located in Länsi-Pasila, Helsinki. The most obvious benefit of the new technology is cost-efficiency. Compared with traditional production methods, we are able to increase or decrease the number of our cameras more flexibly. Carrying out productions is quicker, and the method of production is lighter. 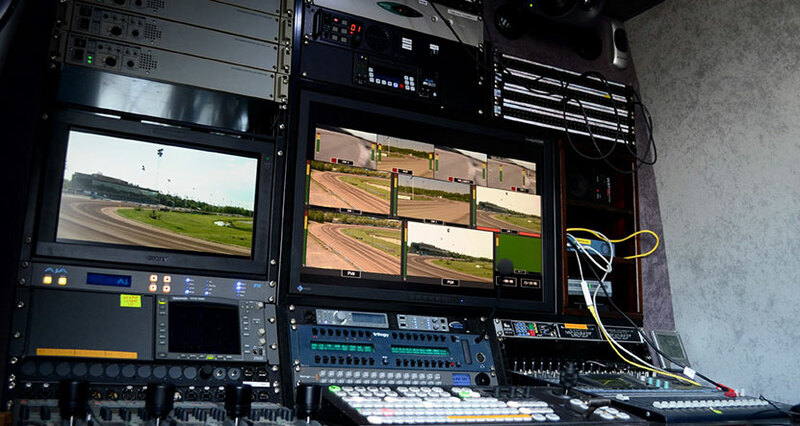 We currently use remotely controlled technology in Telia’s ice-hockey broadcasts and Veikkaus’ horse racing productions. Our services also include the use of image transmission uplink vehicles that utilise the new bonding technology. 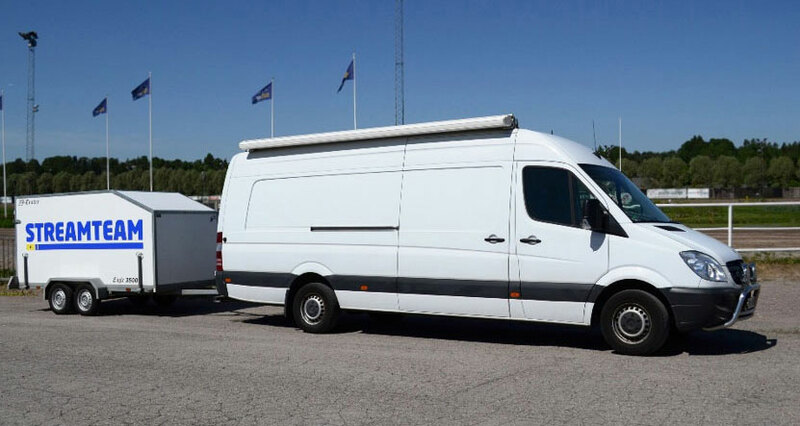 Manufactured on an enclosed Mercedes-Benz Sprinter body. The equipment is transported in the trailer towed by the vehicle. Workstations 5, cameras HXC-100, image mixer: Ross Carbonite, sound mixer: Yamaha iO96. The bonding vehicle combines the internet connections of different operators and service providers. In practice, the system combines twenty internet connections into one bandwidth to be used. There can be several connections: 4G, fibre, 450Mhz, Ka-Sat or other available network connections. The purpose of this heavy bonding system is to guarantee solid operation of the image transfer connection regardless of the conditions.